Dorena Historical Society » Blog Archive » How the Row River was named. How the Row River was named. 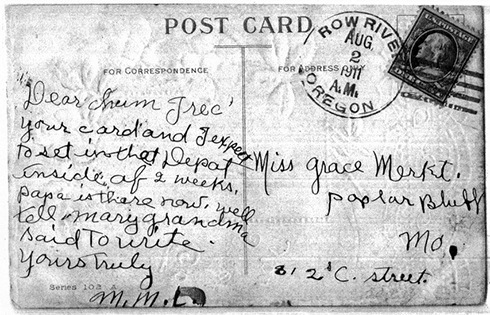 Post card mailed from the Row River Post Office in 1911. The Row River was originally referred to as the East Fork of the Coast Fork River. A long and violent dispute between two neighbors, George Clark and Joseph Southwell, resulted in the area being called the valley of the “row.” The name attached itself to the river and to a Post Office that existed for a few years in the 1910’s. The fight between the two men ended with Mr. Clark being killed by Mr. Southwell. 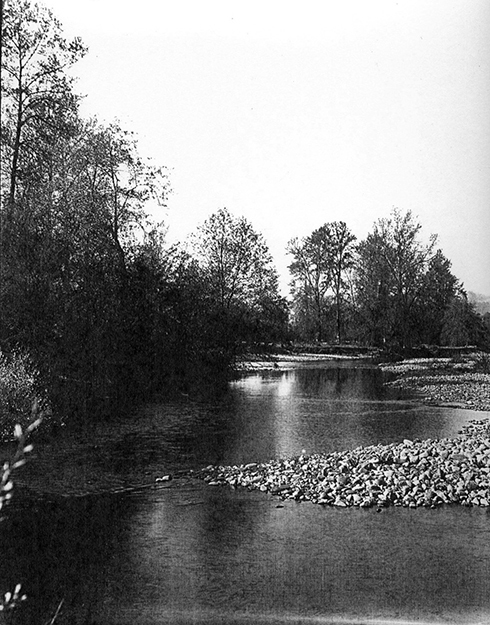 The Row River flowing through the valley in the 1930s before being dammed to form Dorena Reservoir.